Laptop Panel Repair in Hyderabad and Secunderabad. 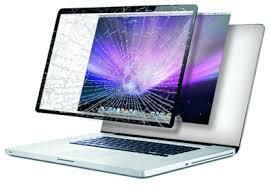 Laptop LCD Panel Replacement for HP, Dell, Lenovo, Apple, Sony, Acer Asus at best price. Getting irritated with your laptop back panel? having difficulties with your macbook / notebook panel related issues is a common problem for all laptop users just click on our website or call our customer support team to get the best out of your notebook. Do you need to replace or repair your laptop panel?we will repair your laptop with a quick time. We provide the guarantee for high-quality service at low cost. We do a free diagnosis of your laptop by our experienced professional’s expert engineers at free of cost before taking any action to resolve any issues regarding your system errors. We replace your current laptop panel with the latest LED display panel of your laptop, we provide the right required solution for your system to avoid any damage regarding your laptop issues. We will warranty on the replaced laptop panel. We never compromise with the quality of our service, So we provide 100•/• quality service to our customers by our expert engineers because customers satisfaction is our first priority. We never stop thinking for our customers , we provide 24/7 service to our customers, we never ever stops our research in the weekends and on the Sundays we do diagnosis your system all days. As per our company norms we provide free pickup and delivery of your laptop after diagnosis thoroughly and repairing of your laptop panel errors before the deadline. Do not panic with your laptop panel errors just call our customer support team to get the right solution for your laptop panel issues. We do repair your system by our experienced engineers to resolve all issues permanently.